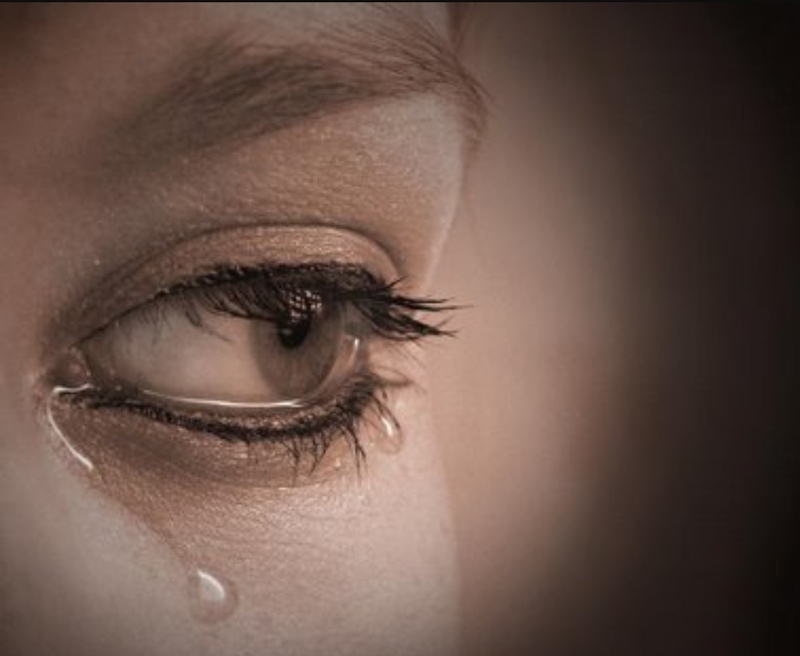 The Emptying of Tears ~ Do you hide in your closet? There are times I feel sad, there are many times that I feel joy, and there are times that I struggle with painful challenges, I feel positive that you also experience all of these emotions. What does this mean? An example of my own is that I have Parkinson Disease and a feeding tube, both of which have made me a better and stronger person, for which I am grateful, BUT as optimistic and life-loving as I am, I am also human and therefore sometimes I really hate these things! Sometimes I feel sad, and sometimes I cry. Carl Sandburg said something that I find very profound; “Life (Parkinson disease) is like an onion; you peel it off one layer at a time, and sometimes you weep”. Parkinson disease is a progressive disease, so with each new development I do literally feel that I am peeling off one layer of myself at a time, and with it can come the need to grieve a loss before I am ready to grow into the new person I have become. As each one of us experiences new challenges, we will peel off layers of our lives, and sometimes we will weep. I strongly believe in the healing qualities of doing so. I imagine within myself a crystal vase. If an experience occurs in my life that provokes the feelings of tears of joy or tears of sorrow I have a choice. I can choose to let the tears come at that very moment, or I can choose to save my unshed tears, collecting them inside of this imaginary vase. There are times in life that my vase fills slowly and other times when it fills with great speed. At either rate my crystal vase continues to fill until the moment when that one final tear drops into it, causing it to overflow, releasing with it all the emotions and memories that have been saved inside each unshed tear. It is often, in these moments, that I take a pillow; several blankets; a box of tissues; and my cat; and I climb inside my bedroom closet. This is a place where I can curl up and gently pour out the overflowing contents of my crystal vase. I like the closet because it gives me a small dark space to be alone. No one interrupts me there. It is not a hiding place, my tears are not something to be ashamed of, but there are some moments that I need to experience alone. There are also moments that can and sometimes should be shared. In my family, we have all seen each other cry, and the experience of sharing joy and grief have created a solid bond of support and understanding. We have also become experts at the whole ‘group hug’ thing. I have also been blessed to find people who respect and care enough for me, to sit beside me even when they don’t fully understand my pain. I feel extreme love and gratitude for those who have done so for me and I am honoured when I am given the opportunity to do the same for them and others. We all collect tears; whether visualized in a crystal vase or felt as emotions left buildings inside a heart; but there comes a time, for all of us, when we need to be empty, so that we can take a deep breath, stand up tall, and begin to fill the vase again. ← A Parkinson Family ~ How well are we supporting each other? My heart breaks for you Loving hugs and prayers.